Refresh Your Shelves with our New Product!! We’re loving the cleansing and organization movement that’s happening this year. Everyone you know is getting rid of clutter that doesn’t bring happiness, and rearranging their belongings. This has definitely inspired us to refresh our spaces for the new year. Our new arrivals are beautiful, functional, and refreshing. This year we’re focusing on filling our shelves with intention and beauty. See our tips and show new arrivals below! It’s also a great idea if you’re trying to build a design portfolio, or a social media following. Everyone loves a good before and after shot! Take a mental inventory of what you’re working with. Start envisioning what pieces of decor you want to place next to each other and how you want to create groupings. What products do you want to be seen first? Is there anything missing? Anything you don’t want to include? Start placing in your larger objects first. Style similar accessories at the same time, that way it’s easier to distribute them with intention. 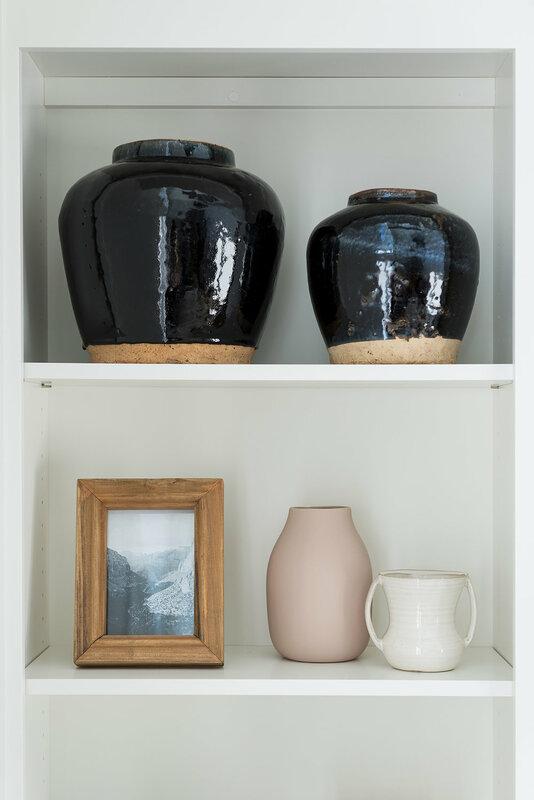 We like to move from large scale items, like vases and books, to smaller accessories. Don’t put something you’re not in love with on your shelves. Instead, leave space. Give yourself visual breathing room and a place for new objects you find along the way. This may seem obvious, but it’s necessary. Take a step back and pat yourself on the back for bringing beauty and personality to your home! Make sure to adjust anything that looks off and take note of what you got perfect.